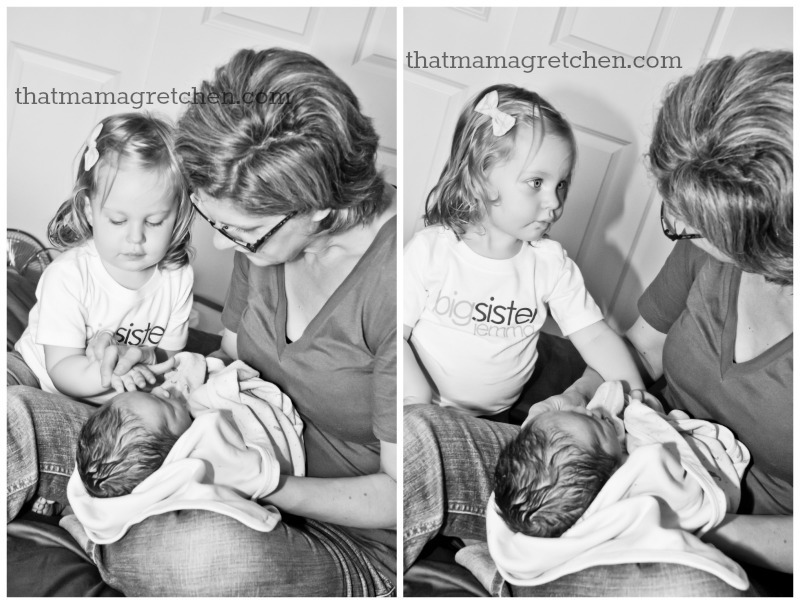 Big Sister Jemma tee c/o Zoey’s Attic, use code THATMAMA for 15% off your order! Just a few hours before Max was born I sat down to write a short post. 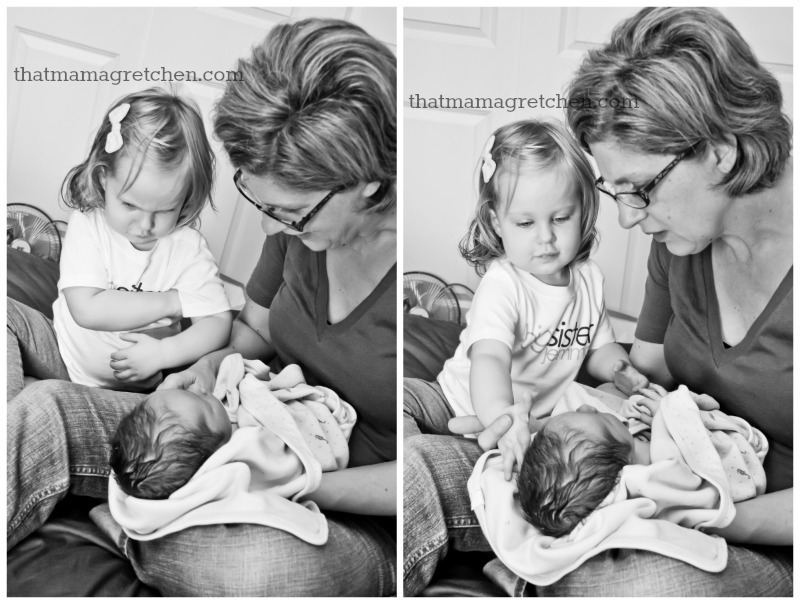 I wanted to remember the sweet moments of Jemma preparing to become a big sister. 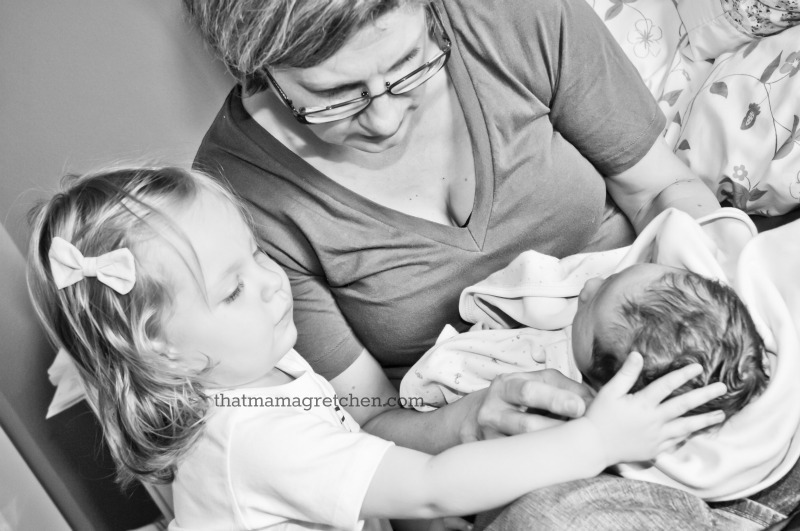 Little did I know that Max would be in our arms so soon … just 5 hours after I hit publish! 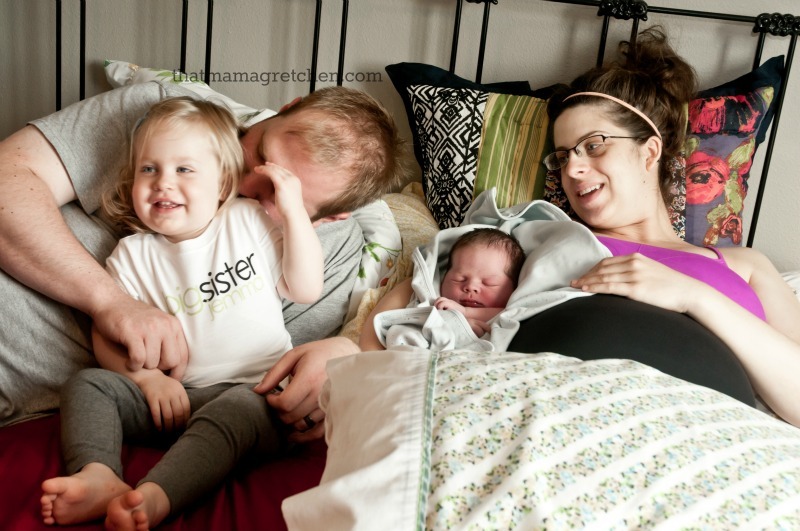 As the sun rose on August 9th, our little family of four snuggled up in bed and our birth photographer captured those first few priceless moments between sister and brother. I LOVE them all so much! P.S. The photo where Jemma is crossing her arms … she is mid-signing “baby”. Yeah … melt. my. heart. How super sweet is that? What gorgeous pictures capturing a wonderful moment! Oh so sweet! love the pictures. Priceless precious moment! Oh my goodness, this is so sweet! 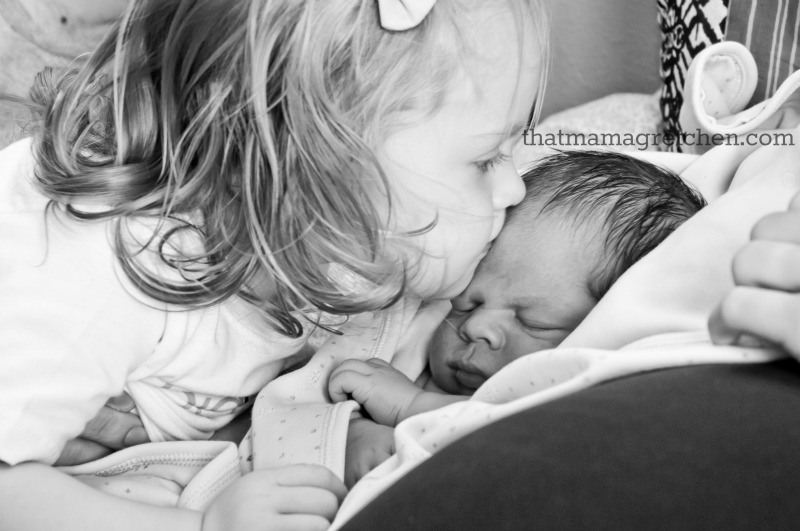 I love seeing pictures of siblings with newborns. The memory is priceless, and the wonder in the older child's eyes is amazing! Seriously! Such wonder :) I just wish I could hear what was going through her mind! Like, did she connect that he was the same baby who had been in my tummy? OK. Funny story (and true!). The year my mom was pregnant with my sister, apparently Herbie the Love Bug was a big thing and my parents told me the baby bump was Herbie. Well, after they introduced me to my new baby sister, I was apparently so stunned that all I could say was, "What happened to Herbie?" Haha! Hahaha! Awesome story :)Jemma still calls Max, "bay-bay". He'll probably be 6 foot something one of these days and Jem will still be calling him that!